Looking forward to spring and summer, it’s time to start thinking about the downsides of warmer weather… mosquitos. As much of a downer as these biting bugs can be, they’re a fact of life for warmer months. But did you know that there are mosquito repellent plants? That’s right! By just planting a few different plants in your garden and around your patio, you’ll be able to keep mosquitos at bay and reduce bug bites. The good news is many of these plants are also either tasty or nice-smelling! While we can’t guarantee you’ll never see a mosquito again, if you cover your garden with these plants, they are almost sure to help you out! Keep in mind that most of these plants will work best as a mosquito repellent if you actually break the leaves and rub them on you. Simply sitting across the yard from your mosquito repellent plants won’t be as effective. Lemongrass: Most bug sprays are derived from lemongrass with good reason! Ensure that you’re purchasing from the genus Cymbopogon, as there are many plants that are called citronella or lemongrass that don’t help repel mosquitos. Garlic: Aside from being one of my most-used kitchen items, garlic plants also help keep mosquitos at bay. A few plants will ensure your food is seasoned with deliciously fresh garlic and make sure that mosquitoes don’t ruin your barbeque. Catnip: I’m not just saying this because I love cats! Catnip is an effective spatial deterrent of mosquitos according to the US Forest Service. As with the other plants on this list, an oil made from your catnip plant will work much better than just sitting nearby the garden. Mint Plants: Several plants in the mint family, including lemon balm and peppermint, are excellent mosquito repellents. These yummy-smelling herbs are great for table centerpieces to help keep bugs away! Marigolds: Marigolds are good at pest-repelling in many capacities. These pretty orange flowers are also good for keeping many garden pests away. A salve made from marigolds can also help with dry skin. Bonus, these plants are dog-friendly! Basil: Another delicious herb, basil will help deter mosquitoes from eating your family this summer. Grow the herb in a pot so that it’s portable, or pick a few leaves and rub them on exposed skin to ward away mosquitoes. Lavender: We all know that lavender has calming, soothing effects. 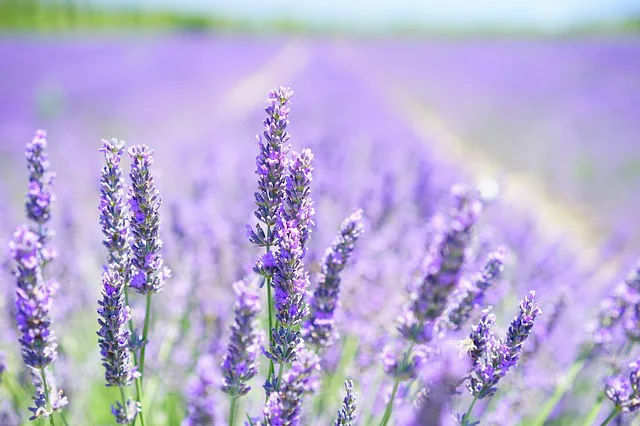 If you rub lavender oil on your skin or grow large quantities of lavender, it will also help ward off mosquitoes. This flower is useful, mosquito-repelling, and pretty to look at! Some plants also have natural anti-itch properties. If your mosquito repellent plants didn’t do the trick and you’re dealing with nasty bug bites, broadleaf plantain is a common yard plant that helps reduce the swelling and itching of bug bites. Aloe and jewelweed can also help soothe irritated bug bites. Have you had good experiences using any of these mosquito repellent plants? Or do you know some other helpful plants in keeping bugs from biting? We’d love to hear about it! I love the smell of lavender. Glad to hear it is an insect repellant as well.